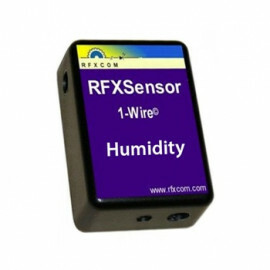 Temperature/Humidity Sensor - 60066 from RFXCom. 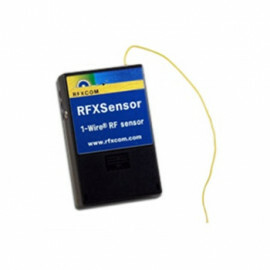 RFXCom Temperature/Humidity Sensor with a 433.92MHz RF transmitter and a 1-Wire protocol for external sensor. 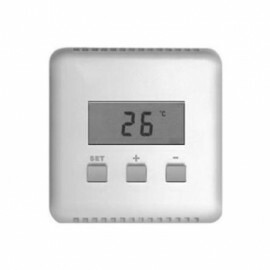 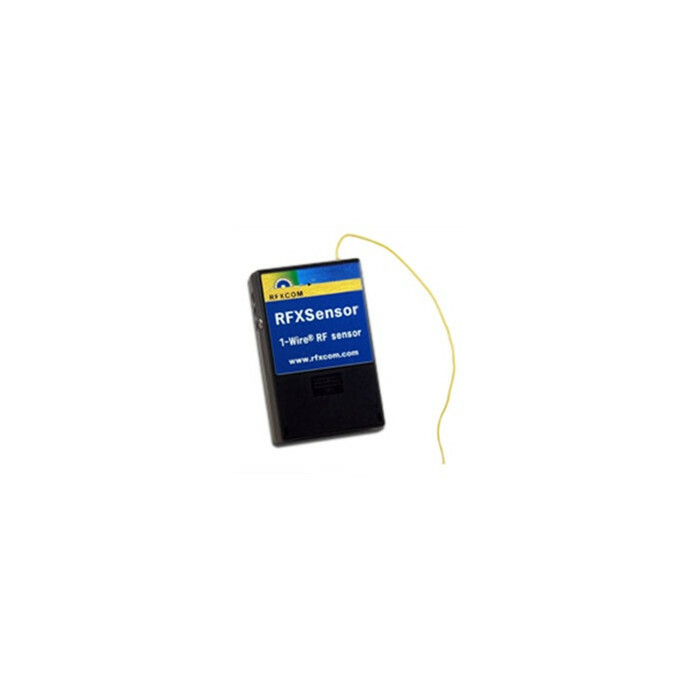 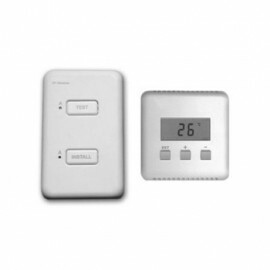 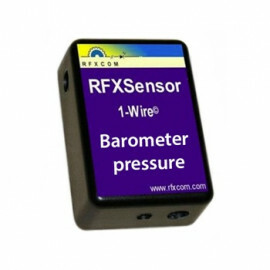 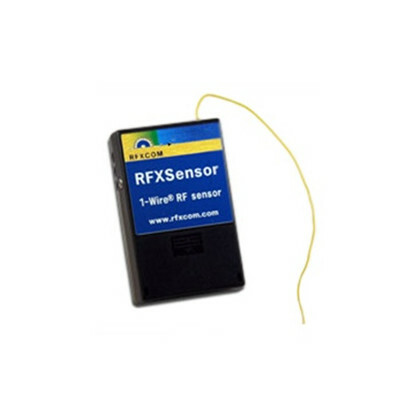 The RFXSensor unit is a wireless temperature and humidity sensing transmitter with one hard wired temperature and humidity sensor and 7 optional wired external sensors connected.